All of our new accordions are freshly handmade in the accordion capital, Castelfidardo, Italy. 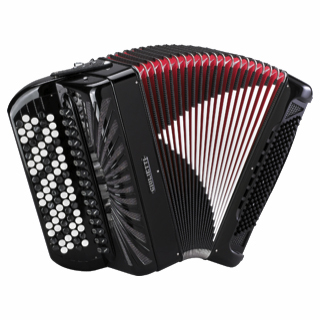 When it comes to used accordion and new accordion sales, Emilio Accordions provides a wide variety of brands including: Bugari, Dino Baffetti, Guilietti, Petosa, and more! 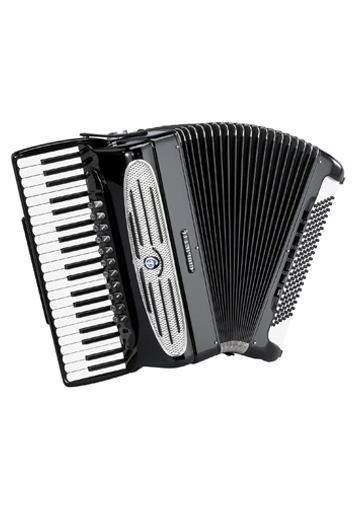 Our used accordions are ready for delivery and are marked with special pricing so that our clients receive the accordion of their dreams at an affordable rate. 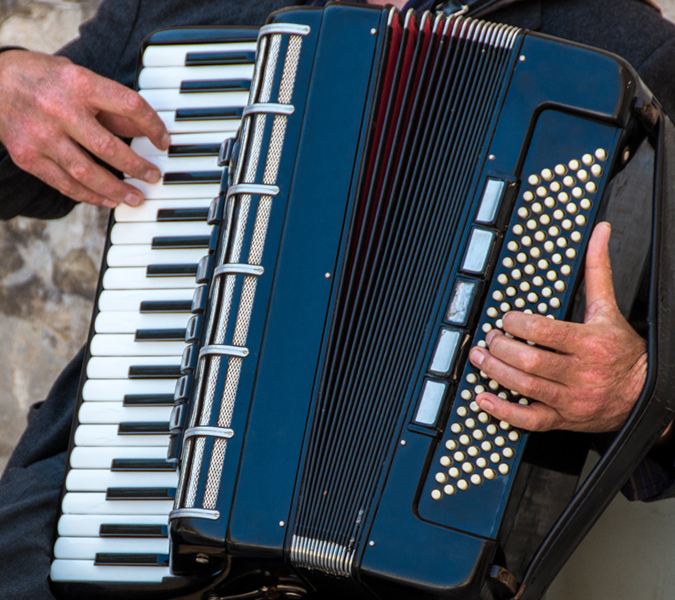 Contact us today to learn more about your favorite accordion. The New Arrivals collection is our most popular selection and our collection is constantly changing. Please inquire today to ensure that your favorite accordion is still available. Emilio Accordions also provides an array of accordion accessories including: straps, bags, reeds, accordion sheet music, and more! 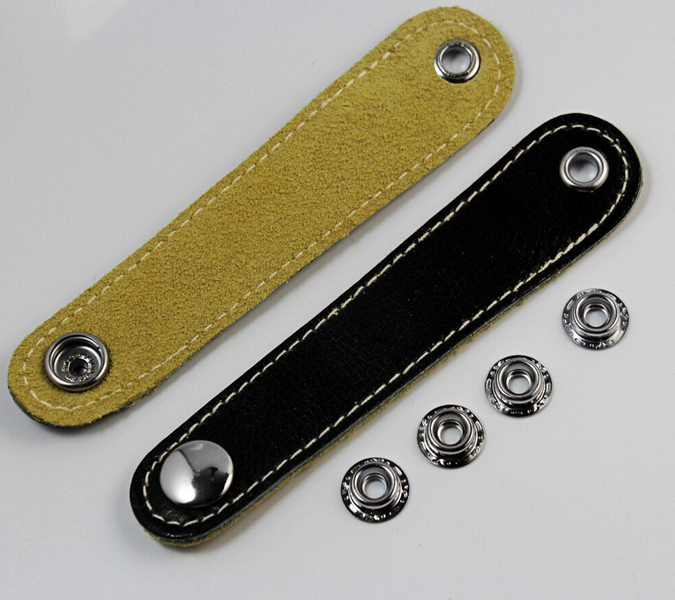 Take care of your accordion necessities today and discover all of the accessories WE have to offer. We also sell and install Midi Arrangers for accordions! You can sound professional the very first time you play. The instrument is easily set up to be used with Accordions, Keyboards, Home and Church organs plus digital pianos. Not only do we provide midi arrangers, we also offer installation services if necessary. 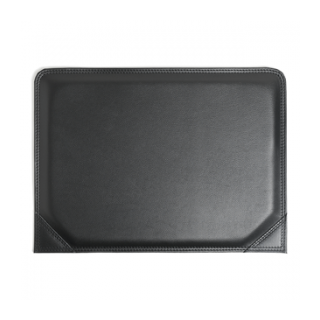 Learn more about our midi arranger collection today! Expert accordion services, best accordion accessories & new handcrafted accordions. 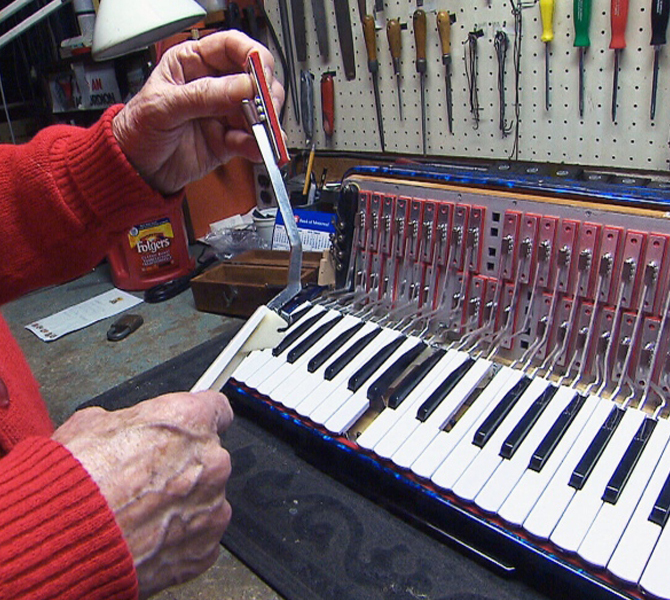 We provide expert repair of keys, bellows, base mechanisms, reeds, valves, and celluloid repair, parts replacements, and repairs to existing electronics, as well as instrument tuning. If you have any inquires about accordion repair, do not hesitate to contact us. 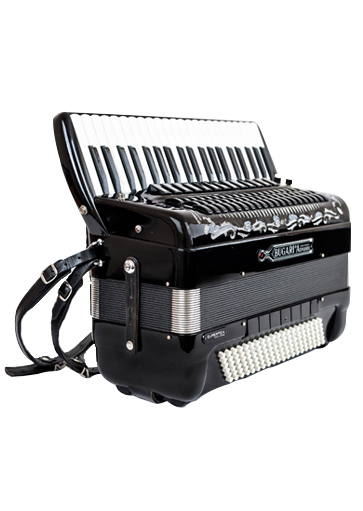 Emilio Accordions provides an array of accordion accessories. 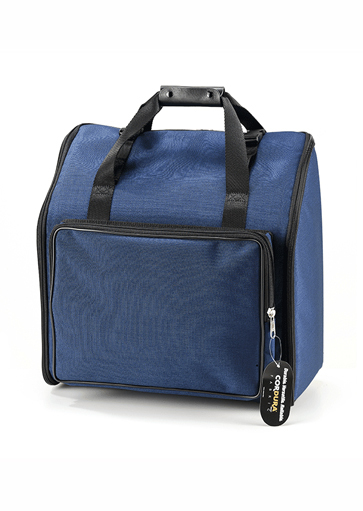 Our inventory of accessories includes: straps, bags, reeds, accordion sheet music, and more! 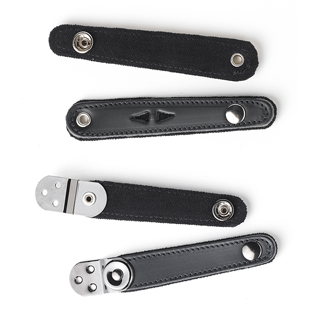 Take care of your accordion necessities today and discover all of the accessories we have to offer. 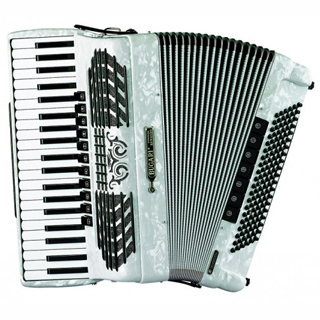 View our selection of new and used accordions! 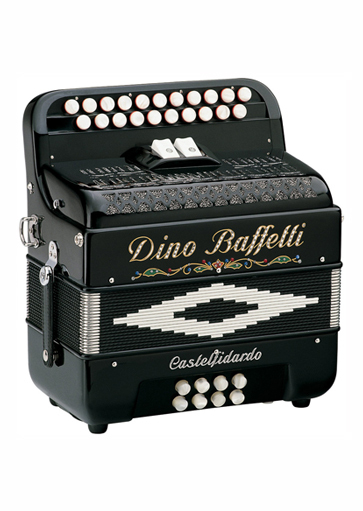 New accordions are handcrafted from Italian brands such as Bugari, Dino Baffetti, and Giulietti. All used accordions are affordable and in high demand so please inquire today about the accordion of your dreams. All Accordions. . .All the Time. Small Business Owner. Experienced Accordion Technician. Professional Accordionist.